When a conversation goes like this. Person 1:Areet bonny lad? Ya'aalreet deein? Person 1: Am gan to the toon. If you watch Geordie Shore, then you’re quite familiar with their constant bickering and dramatics. You’ve probably learned a few terms too, and discovered that they have a different accent ? like some people in England. She’s just one of the notable people from Newcastle upon Tyne or (commonly called) Newcastle. A few internationally acclaimed personalities include Sting (famous musician), Charlie Hunnam (mostly known for the film ‘Pacific Rim’ in 2013), and Rowan Atkinson (best known for Mr. Bean). They call Newcastle home, and you’re probably thinking the same. Don’t worry about moving your belongings or getting rid of some. If you’re wondering, “How will I sell my car in�Newcastle?”, we can help. We offer the guarantee of a quick, simple sale no matter the make or model. And you won’t have to worry about extra charges. So you’ve found the best solution to selling a car, now here’s our advice when it comes to settling down and adjusting to a new life ? read up on important facts. The earliest civilisation dates back to around AD120, during the period of Roman settlement. They built the first bridge across River Tyne, naming it Pons Aelius (or 'Bridge of Aelius') after Roman Emperor Hadrian. He also ordered the construction of the wall along the Tyne-Solway gap. The empire lasted less than fifty years and troops stationed in the area were recalled. 7th century was the “Golden Age of Northumbria” and the region was considered the epitome of learning and culture in Europe, mainly due to Christianity. Monasteries were scattered across Tyne and Wear valley. England was under Norman rule in 1066, after William the Conqueror arrived. However, the people in Northumbria resisted. The locals at Durham killed the newly appointed Norman Earl, Robert de Comines, and 700 soldiers. Despite the constant uprising, William suppressed it and finally took revenge after the destruction of a garrison in Humber. He laid damage to the entire Midlands as well as the area from York to Tees. The area between the Tees and the Tweed was also laid to waste in 1080. It had a big impact on the North, making the people suffer from poverty until the Tudor period. In the same year, William constructed a ‘New Castle’, giving birth to the name ‘Newcastle’. However, there isn’t a trace of castle and tower these days. The Border war between England and Scotland waged for several centuries, and Newcastle was the northern fortress and assembly centre for England’s armies. Then, Northumberland and Cumbria were under Scottish rule from 1139-1157. The border wars gradually declined in the 16th century, and Newcastle had around 10,000 residents in 1547. The plague was one of the town’s biggest devastations, killing thousands of people from 1579-1597. ‘German Geordie’ was commonly used in the 18th century, fuelling theories about its source. One is the resistance against rebels and the declaration for George I in 1715. It was also thought that the term was coined after George Stephenson, the creator of the Geordie lamp (a safety lamp used in mines). However, it was only invented in 1815. The construction of a new road bridge started in 1925. It ran across the Tyne Gorge, between Gateshead and Newcastle. Up until today, it symbolises Newcastle and Tyneside. The Metro, a quick transport system, was constructed in 1978 to connect to the Tyneside area. 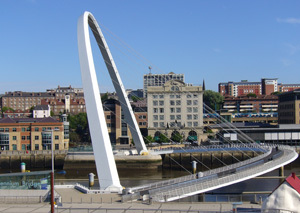 A new bridge, called the Queen Elizabeth II Bridge or (commonly) the Metro Bridge, was also constructed between Gateshead and Newcastle to carry the Metro. Over the years, the transport system extended to Newcastle Airport and then to Sunderland in 2002. Coal production and export boosted Newcastle’s economy, developing it into a major city. It inspired the idiom “taking (carrying, bringing or selling) coal(s) to Newcastle”, which refers to a pointless action. Why would anyone bring coals to Newcastle when it already has more than enough? Heavy engineering and shipbuilding also helped the city prosper in the 19th century, turning it into a hub during the Industrial Revolution. It even manufactured locomotives for America and Europe, with the Forth Street continuing production until 1960. It was also famous for glassmaking, pottery and steam turbines. However, industrialisation declined in the middle of 20th century. Now, it’s replaced by businesses, retail and offices. And there has been a focus on solving environmental issues, planning a programme that’ll turn it into a “carbon neutral” town. 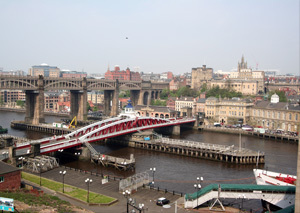 Partnering with Gateshead, Newcastle is the cultural focus for North East England. It’s also a commercial and education hub. Its economic contribution to the UK GVA is around �13�billion. Newcastle might have played a big role during the Industrial Revolution, but retail businesses had already gained traction in the 19th century. Emerson Bainbridge, the founder of Bainbridge’s, used to sell goods through department ? a custom during this period. The opening of Bainbridge’s in 1838, usually considered the world’s first, eventually gave birth to department stores. Throughout the years, other shopping centres and stores opened in Newcastle. Eldon Square Shopping Centre is one of the biggest in the UK. Some of its stores include Apple, Guess, John Lewis and Debenhams. 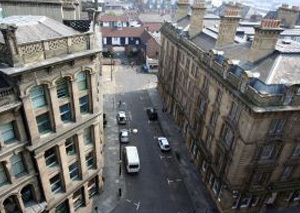 The major shopping street is in Northumberland, ranking as 2004’s most expensive shopping street for rent in the UK, outside of London. Vehicle dealership is also a thriving business. And if you want to sell your car in�Newcastle, there’s no need to place adverts online or on the community bulletin. Simply get in touch with our team at The Car Buying Group. We make selling a car of any make and model easy, quick and secure.